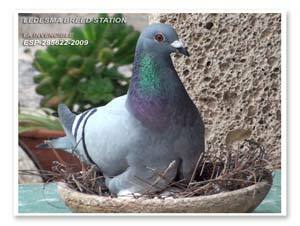 We have decided to offer our pigeon to the fanciers around the world. To offer for sale nestlings from the highest quality, our breeders must follow a criterion to join the stock loft. To maintain the highest qualities to race extra long distances, our breeding pigeons are selected under these criteria: Intelligence and guidance - mordant - character - instinct - quality and muscle volume - speed and talent to fly hard races over long distances over the sea. 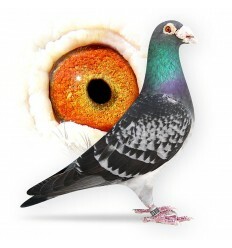 Objectives: Breeding quality pigeons with specific qualities to fly long and hard races. At least one parent, grandparent or great-grandparent of each pigeon offered for sale has award from great distances from Africa or over the Seas. We send pigeons to all over the world!